Download from a selection of 80+ million pre-made flashcards, or create your own. 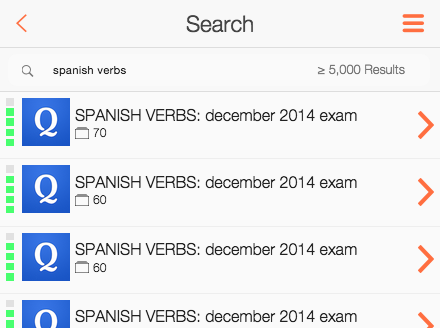 Anki App tests your knowledge in quick sessions—1 minute or less. After each session, Anki App displays your progress, giving you a “sense of speed”. The core of Anki App is an advanced algorithm, developed by our team's ex-neuroscientist, to save you time. As you study, it learns how well you know each flashcard, then prioritizes them for you, so you study the things you don't know, without wasting precious time on the things you already do. Get started right away with pre-made flashcards. Anki App comes with a collection of public flashcard decks built-in. 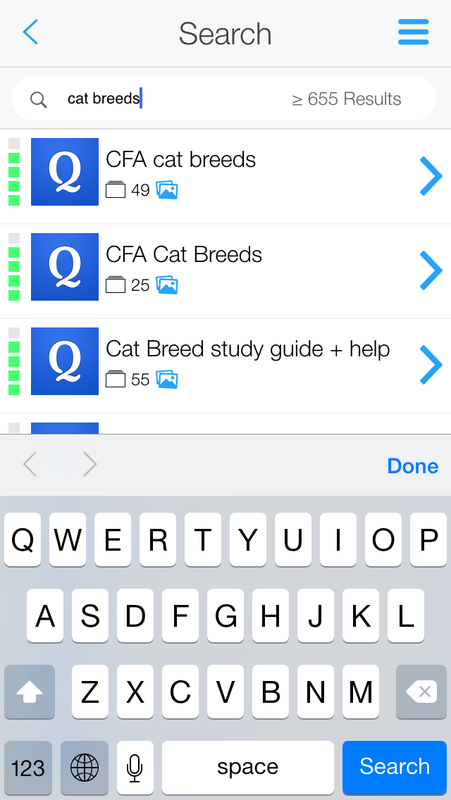 Download more, from a selection of 80+ million flashcards available from Quizlet and other sources. 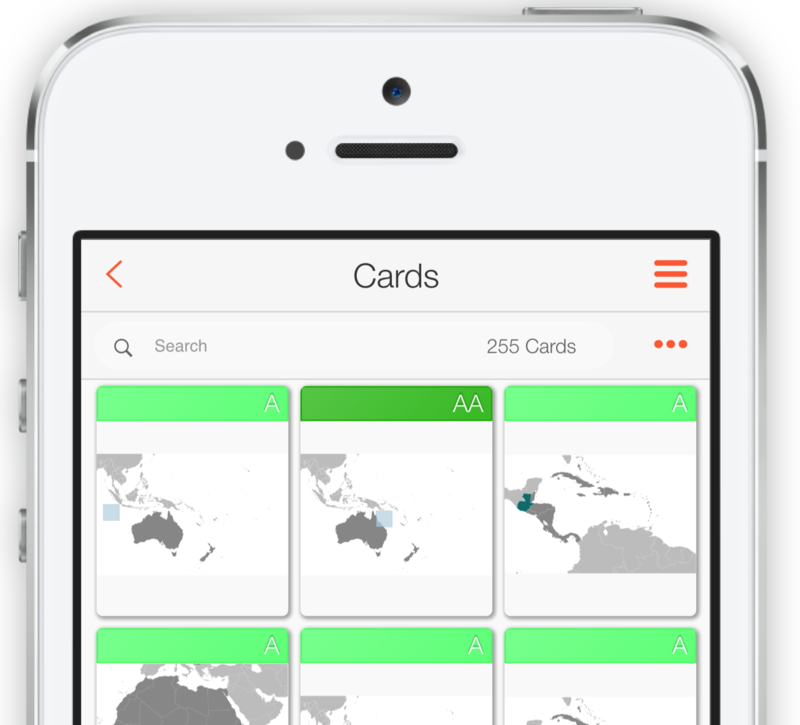 If you’ve previously used the AnkiWeb service (not affiliated) to store flashcards, we can import from there too. For content from other sources, we provide a service to load flashcards from spreadsheets in TSV format, which many tools can produce. Anki App lets you make your own flashcards, on any device. Creating cards is as easy as typing what you want on the front and back of each card. 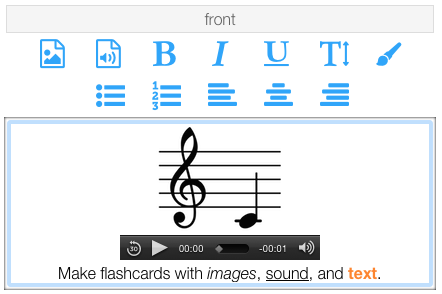 In addition to plain text, you can add images and sound* to your flashcards (*at the moment, sounds must be added using the web client—coming soon to other clients). When you’re ready to get more advanced, Anki App lets you create "custom layouts" to present multiple fields of information, styled with HTML and CSS. 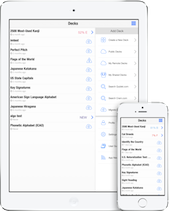 Anki App seamlessly synchronizes to the cloud, so you can create flashcards on one device, and then study on another. In addition, your AnkiApp account grants you free access to our web client. 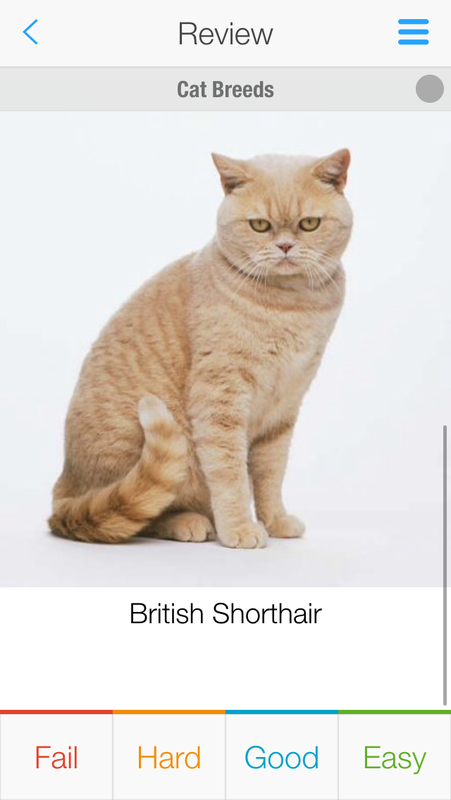 It works on any computer running the latest Chrome, Safari, or Opera browsers. 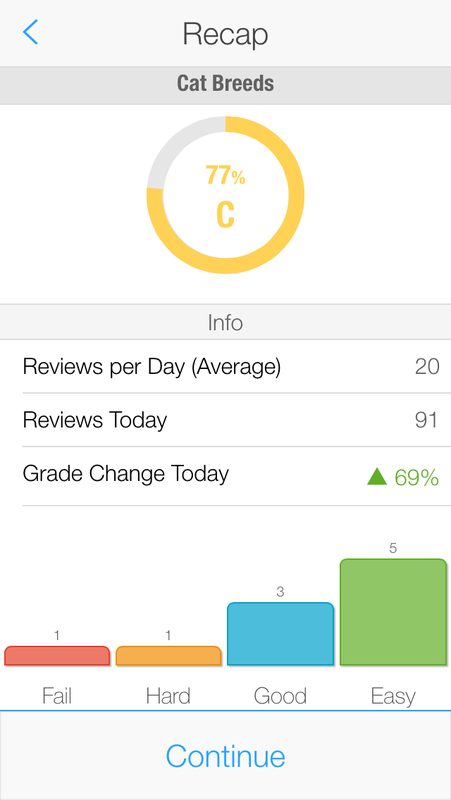 We have big plans for the future, but we're open to feedback along the way, and our users give us plenty. We balance suggestions against the simplicity and focus of the product; not every one makes the cut, but we have incorporated many of the ideas we've been given. In Anki App ’s first year, we released over one update per month, and we’re continuing to innovate. Anki App is available world-wide for purchase, except where prohibited by U.S. law. Anki App has a complete Chinese translation on all supported platforms, with more in the works. Native app for Mac desktops and laptops running OSX 10.9+. Native app for iPhone, iPad, and iPod touch with iOS 10+. Native app for Android 4.0+. Flag icons by Icon Drawer.